For over 30 years Mr. Kelley has litigated at both the trial and appellate levels. His experience also includes administrative litigation before the Department of Environmental Conservation, Suffolk County Department of Health Services, and numerous town boards, planning boards, and zoning boards of appeal on Long Island. He has served on the faculty of numerous bar association continuing legal education seminars in the areas of civil procedure, land use and environmental law. 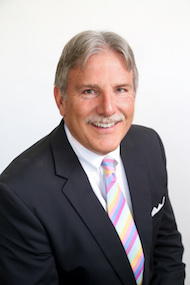 Mr. Kelley is a former chairman of the East Hampton Town Zoning Board of Appeals and served for 19 years as chairman of the East Hampton Town Democratic Committee. He is a former president of the Springs School Board, having served for 12 years, and he has served on numerous boards of directors for local and Long Island-wide charities and not-for-profits including A Program Planned for Life Enrichment (A.P.P.L.E. ), a residential drug treatment facility, and was instrumental in the establishment and construction of the East Hampton branch. He has served on the Vestry and as Junior Warden and Treasurer of St. Luke’s Church in East Hampton and as Treasurer of Christ Episcopal Church in Sag Harbor. He is also a member of the board of directors of East End For Opportunity, Inc., a non-profit provider of legal assistance to the disadvantaged and immigrant community. Mr. Kelley serves as Pro Bono counsel for the Sag Harbor Partnership in its efforts to build the new Sag Harbor Cinema Arts Center on the site of the former Sag Harbor Cinema. Mr. Kelley also serves as Pro Bono counsel to Christ Episcopal Church in Sag Harbor in the sale of land to be used as a “pocket park” by the Village of Sag Harbor through expenditure of community preservation funds by the Town of East Hampton. In 2013, Mr. Kelley was named a New York Metropolitan Area “Super Lawyer” in the field of Real Estate Law. He is a faculty member in the Real Estate Continuing Education school run by Cook Maran & Associates.